Pets are great because they are always there for you unconditionally. Well, at least if you feed them regularly. They never ask for anything more than the toss of a stick, a clean litter box, or some tender loving care. One of the things that I hold most dear to my heart has been the many great memories that I have of all my pets. Well, enough of that sentimental bull…let’s talk about “Stephen King’s Pet Sematary”. Along with “The Shining” this is one of my favorite adaptations of a Stephen King novel. (All King fans: Please read my “Shining” page before bombarding me with emails say that “The Shining” isn’t a true adaptation of Stephen King’s novel.) The success of “Pet Sematary” for me lies in the following examination. The brutal imagery of the story blows my mind. The death of little Gage is one of the most heart-wrenching acts that I have ever witnessed on screen. If that were to ever happen to any of my nieces or nephews…I don’t know what I would do. But the imagery put it in proper perspective. The question that follows is “Should one try to cheat death and if so what is the price”? The question of “cheating death” is a perplexing one, but to many, this question is very serious. Some say that true life begins with entrance into “the Kingdom of God” and that might just be it. So why consider bringing someone back? Others, such as myself, have struggled long and hard with the questions…”what’s next?” “Is there a hereafter?” “Why let go of what you love?” But if we were faced with the death of a loved one, wouldn’t we cherish the opportunity to cheat fate? 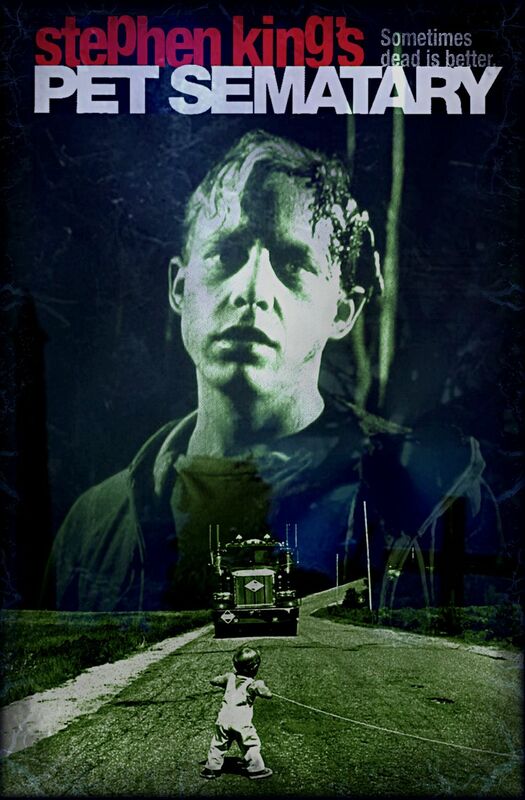 Well in “Pet Sematary”, Louis Creed had that chance and the outcome was quite frightening. The effectiveness of “Pet Sematary” doesn’t lie so much in the images on the screen (although they do help to propel the story), but rather in the challenging question it asks of all of us: “Would you do the same thing that Louis did?” I know I would and that is scary. What are your thoughts…email me. As always please e-mail me if you have anything you can add to this page, or if you have any comments, criticisms or suggestion. It is a special day for the Creed family. Louis, his lovely wife Rachel, their daughter Ellie, and toddler Gage (Miko Hughes) have left behind the hustle and bustle of the big city for a little country living. But there seem to be a few things their realtor forgot to tell them about their new digs. First, it seems that the road that runs by their new house is like the “Indianapolis Speedway” for truckers. Second, there’s a little-overgrown path in their backyard leads to a makeshift “Pet Sematary”. It serves as the final resting place for many of the pets claimed by this “highway to hell”. Third…well, I’ll get to that later. Louis, a new doctor at the local college, receives the dying words from an accident victim. Later that evening, Louis is visited by this ghostly apparition who warns “the barrier was not meant to be crossed.” It was only a nightmare, right…..or was it??? While Louis’ wife and kids are away, Ellie’s cat “Church” falls victim to this deadly road. As Louis and his neighbor, Jud, (Fred Gwynne) head out to bury “Church” in the “Pet Sematary”, Jud decides to take Louis beyond the barrier (or brush) up into an ancient Micmac Indian burial ground. Here they lay “Church” to rest. Well as time passes, sure enough, “Church” shows back up, a little worse for wear, but alive and seemingly well. Louis believes he must have buried him alive. He reeks of an unbelievable stench that won’t go away, (couldn’t be the smell of death now, could it?) and he isn’t quite the cat we’ve all come to love. He rushes over to Jud places where he finds out that “dead don’t stay dead” when buried up there. Their conversion quickly ends with the question “Has anyone ever buried a person up there?” Jud replies with a fearful and rather unconvincing NOOOOOOOOO!!!! Can we say foreshadowing? One day, as the family is enjoying a picnic, the unthinkable happens. Little Gage wanders out onto the “killer highway” and Crash! Boom! Bam! It isn’t pretty, but the editing is so well done that it brings home the horror of the scene without the gore. (Sorry Gorehounds…but there is some really nice gore throughout the film) Blaming himself for Gage’s death, Louis decides to make things right. If it worked for “Church” it’s gotta work for Gage. But Louis seemed to have forgotten that “Church” was soured by his resurrection. The consequences of Gage’s revival are quite devastating. The imagery is quite frightening as Gage lays waste to any and all that get in his way. First, there was Jud, then Mommy, and now he wants to play with his Daddy. Does the old saying go “You reap what you sow” or is it “what you sow will rip you apart”? Rent the film!!!! Both George Romero and Tom Savini passed up directing this film. George was finishing up “Monkey Shines” and Tom can’t remember why he did. Rumor has it that George dropped out of doing “Pet Sematary” because of a falling out with Richard Rubenstein. Stephen King’s has a cameo as the minister at Missy Dandridge funeral. Grossing close to $80 million in the box office and video rentals, Pet Sematary is one of Stephen King’s most successful films. 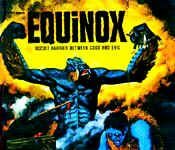 This was the first screenplay Stephen King adapted from one of his own novels. In agreeing to make Pet Sematary into a movie, Stephen King demanded that it be filmed in his home state of Maine and that his screenplay is followed completely. Stephen King was afraid, at first, to publish “Pet Sematary”. The novel was published 3 years after it was finished. From “Pet Sematary” on Stephen King’s name always appeared above the title, with the exception of the most recent Apt Pupil. Casts were made of Miko Hughes (Gage) head to be used in the more horrific scenes. This was accomplished with the help of a puppeteer. Accomplished through the masterful work of Lance Anderson and 7 puppeteers. The film is still banned to this day in Germany. It took two actresses to play the part of Ellie (Beau and Blaze Berdahl), but only one to play Gage. Miko Hughes, who was a little over two years old when the film was finished, played him. The character of “Zelda” was performed by a man (Andrew Hubstsek), because they couldn’t find a woman skinny enough to play the part. The trucker’s truck, who Rachel hitches a ride with at the end of the movie, is numbered 666. Guess it really is the “highway to hell”. Mary Lambert, the director of “Pet Sematary”, is the best known for directing Madonna’s music videos, “Like a Virgin”, “Material Girl”, and “Like a Prayer”. Seven felines were used for the part of “Church”. The plotline for “Pet Sematary” is an expansion of W.W. Jacob’s “Monkey Paw” told as only Stephen King can tell it. I first saw this film with my wife when we were still dating. I did not think of it as all too scary. However, when I became a parent, I found the film terrifying due to Gage Creed dying and what Louis will do to keep his family form falling apart at the seams. My wife and I love your site because it is one of the few good horror film sites out there. when our son is old enough to watch horror films this will be one of the first that he sees. Keep up the great work. This movie just plain sucked, i mean honestly, just like every other stephen king-to-movie. the books should stay as they are as movies like “It” and “tommy knockers”, and “the langoliers” show. however i can only make the exception of “The Shining” which was a good movie. Back to why i didn’t finish the movie, was because it was simply boring, lame, and wasn’t “scary” at all…i mean i laughed at some points. it just didn’t do anything for me…thats why i quit at about 3/4 through. i know about the ending, and how it was really good, but a good ending does _not_ justify a lame plot…even the name “Gage” annoyed the hell out of me! who names their kid “Gage”?? it’s like naming your son “Bolt” or something idiotic like that. I’m not saying that horror films need a reasonable plot, they absolutely do NOT, but this was just an utterly dumb and tedious plot. so anyways, this movie didn’t move me at all. i just sat there wondering how long this boring film was. well that’s what i have to say about that. care to comment, email me. im open!